This is a picture of the back of the packaging. I'm sorry it is not easier to read but I want to you see it anyhow. This page is included with your order of all Lana products. 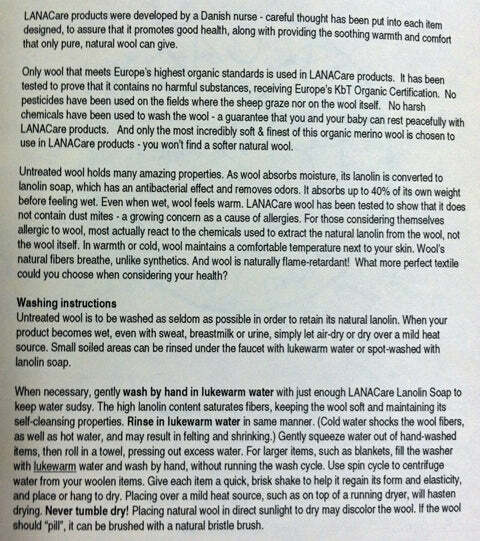 Additionally, you can receive GMD's wool care instructions in the GMD How-to Booklet which offers additional details and tips. Check the box in the checkout to receive it or add the free How-To Booklet to your cart. I (Karen) want to make sure you know how to care for your wools properly so that you love and enjoy them as much as I do!